How many drafts of a story, or essay, or book, do you write before it feels “done”? Ten, twenty, fifty, one-hundred story drafts? More? 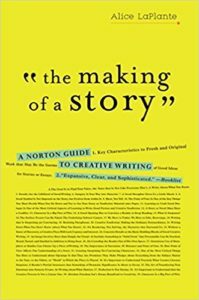 One of the things that I find surprises the beginning writers I work with is this: more experienced writers often produce more story drafts, not less. What do experienced writers know that beginning writers don’t? The more you write, the more you’ll learn that a good piece of writing has many LAYERS. It is exceedingly rare (though it does sometimes happen) for a story to reveal its full self on the first, or second, or third draft. This is one of the many reasons why revision, and learning to read like a writer so that you can apply those principals to your own work, is so important. The more you revise, and the more you treat your story with a “learned” eye, the more the story will reveal itself to you. A story is never about just one thing. There are external actions, internal thoughts, conflict, dialogue, details, symbols—all these and more add up to a total that is greater than the sum of its parts. Don’t get me wrong: the parts should be working fluidly. A solid structure should be in place. But even the best parts can fail on the level of story if they are not pointing to something deeper. Replace ‘truth’ with ‘story’ and let’s go from there. How Do I know What my Subtext is? I often see two distinct ways in which writers deal with subtext in their early drafts. Either it’s so obvious it clubs me in the face or it’s lacking entirely. For instance, in my own writing, I’m currently working on a story for which the plot, characters, and scenes came easily. But as I work on revising, I’m struggling with what the point of the story is. It’s a decent, well-crafted, structurally sound story. I feel certain the meaning is in there somewhere. Yet, so far, it eludes me. Other times, I know what I want to say before I even have characters willing to say it, and those stories are often ones that lack a coherent plot line or structure. The characters become puppets for meaning. That’s no good either. As frustrating as it may be, the only real way to discover your subtext is to keep revising. Eventually, it will out. There are a few ways that subtext reveals itself in a story. Like I mentioned before, it’s often a blend of different elements, though depending on the story, the writer might be leaning on one specific element most heavily. Dialogue works within story on a variety of levels, and in the case of subtext, it gives the characters a chance to actually say, or not say, what they feel and think. From there, the story takes on meaning. Though few stories lean entirely on dialogue for their subtext (Hemingway’s “Hills Like White Elephants” comes pretty close), dialogue often provides a wonderful way to eavesdrop on what the characters (and story) are saying. Interiority vs Exteriority: How much of your story is spoken aloud, and how much is internal monologue, will also influence your subtext. Often, a new writer will use interiority to “tell” the reader what their character is thinking. Now, there is nothing wrong with internal monologue (we all have it). And there is nothing wrong with telling a reader what you need them to know. Just be careful to balance out these direct moments with more indirect observations, dialogue, detail, and scenes. Detail is one of the other main ways in which a good writer communicates their subtext. This is part of why it often takes many story drafts to get a piece where it needs to be. It’s rare to get the details right on the first time, though you will often find that with revisions, you notice details you randomly stuck in there that actually work to advance the story’s meaning. Details can be sensory (what does your character see, smell, hear, taste, feel) or they can be concrete observations (still based on sense, but usually in a more objective way). Your setting, your narration, and your point of view will all influence what details are noticed, when, how, and why. Also good to keep in mind: what doesn’t get mentioned. Unless you luck out and spit out a story in its complete form on the first try, the good news is, revising is fun! Revising is where you get to pull apart the meat of the story and tease out its tenderness and secrets. Revision sometimes looks like several re-readings with a red pen. Other times, it looks like taking colored pencils and blocking out specific aspects of craft: blue for dialogue, pink for detail, red for exposition, green for character traits, etc. This is a great way to quickly see if you’re leaning too heavily in one direction or another. Revision can look like physically cutting up a story and piecing it back together. It can also look like putting the latest draft away and completely rewriting from memory to see what sticks and what doesn’t. Another thing I recommend doing during the revision period is to give your story a full pass looking for repetition and echoes. Sometimes these don’t add anything to the story and need to be culled. Other times, they are clues. 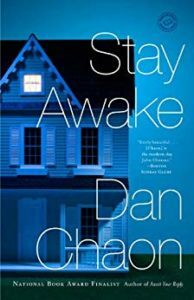 Dan Chaon, in his collection Stay Awake, is a master at using echoes for uncanny effect. His stories are chilling, but you won’t notice why until you start breaking down the loops he has carefully constructed. You want your story to get to the point where the echoes are seamless—that is, the reader won’t notice them until a second, third, fourth reading. When I was a teenager, my best friend’s mother made her a rainbow layer cake for her birthday. That’s right: seven layers of colorful, delicious cake. Never before or since has a birthday cake been so incredible, or unforgettable. A good story, like that cake, has many layers. 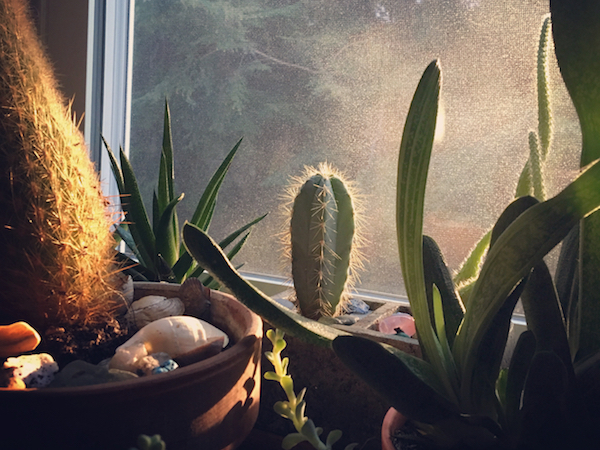 And each layer is doing it’s own work. Just as the rainbow cake did not have two red layers or three green layers, so a story does not want excess baggage. Each story needs its own specific set of layers. Each layer might not be apparent upon first reading, but a good story invites further reading, because a good story wants to reveal itself. Are your stories saying everything they want to? Perhaps now is the time to stack on, or remove, yet another layer. Like what you read here? Share it! & Don’t forget to follow The Art of Landing on Facebook.